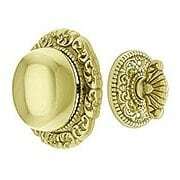 Make a stylish statement to house guests with our beautifully designed door bells and doorbell button selection. 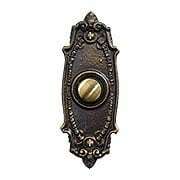 These uniquely designed, vintage door buzzer buttons replace standard electric doorbell buttons and will add instant period charm to your home. 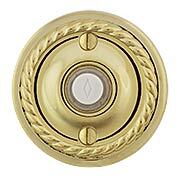 This large round shaped buzzer button is a true classic, and partners quite nicely with many architectural styles. 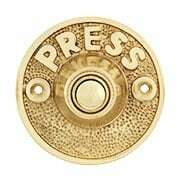 Made of solid brass with a brass backplate, it's available in 5 finishes. 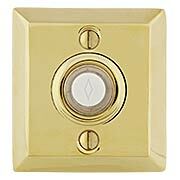 The graceful curves of this door buzzer button are very pleasing to the eye and will work well with any type of architecture. 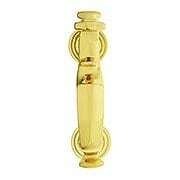 Cast in solid brass for crisp detail, with heavy duty forged backplate. 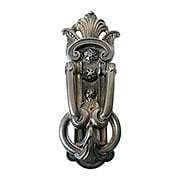 Available in 5 beautiful finishes. 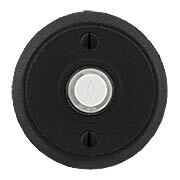 Features a lighted button for better visibility and easy surface mount installation. 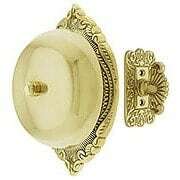 This lovely oval shaped buzzer button is a true classic, and partners quite nicely with many architectural styles. 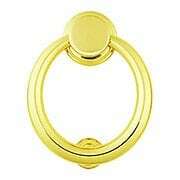 Made of solid brass with a forged brass backplate, it's available in 6 finishes. 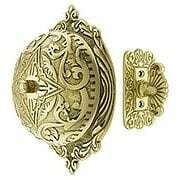 The Avalon door bell makes a bold statement. 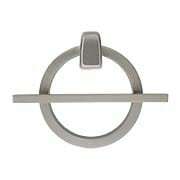 With two classic finishes to choose from, this crisp, clean design is suited for modern homes of any era. 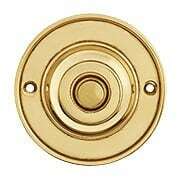 It is designed to connect to your existing doorbell 16-volt wiring. 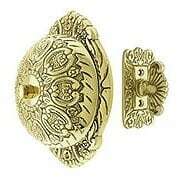 Beautifully crafted from solid, forged brass, our Doorbell Button with Rope Rosette adds a classic touch to your front entry. 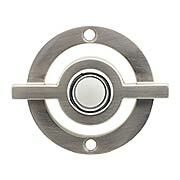 Popular finishes from polished chrome to oil-rubbed bronze give you options for a variety of home styles. 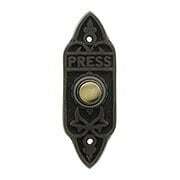 Please note: this electric button is designed to operate a standard door chime located within a home. 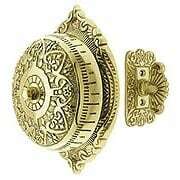 The chime is not included (available at most home improvement stores) and must be hardwired into the wall. 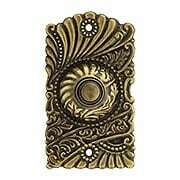 Our Doorbell Button with Quincy Rosette is a practical and elegant enhancement to your entry. 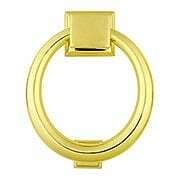 Traditionally styled with crisp beveled edges, this classic design complement's every style of decor. 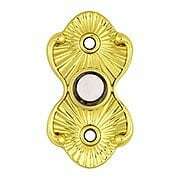 Made of solid brass with a lighted button, it comes in an array of popular finish options. 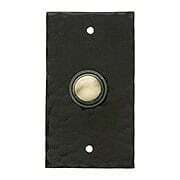 Please note: this electric button is designed to operate a standard door chime located within a home. The chime is not included (available at most home improvement stores) and must be hardwired into the wall. 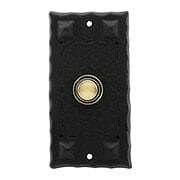 With its rugged texture and weathered finishes, our Doorbell Button with Round Rosette is a perfect choice for your Colonial, Tudor or other rustic style home. 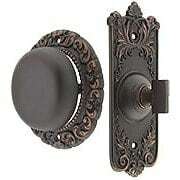 Made of solid steel, it features a lighted button. 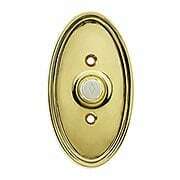 Please note: this electric button is designed to operate a standard door chime located within a home. 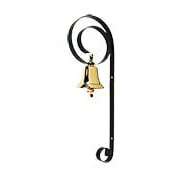 The chime is not included (available at most home improvement stores) and must be hardwired into the wall. 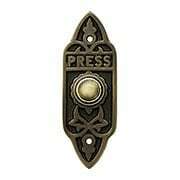 Another popular early 20th century door buzzer, made from solid hammered copper with a beautiful oil-rubbed bronze patina. 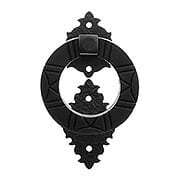 This is an authentic reproduction of an Arts & Crafts favorite, and will enhance the historic appearance of any Craftsman house. 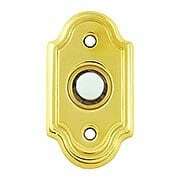 This handsome Stickley style doorbell button features a hammered finish made popular during the Arts & Crafts movement. 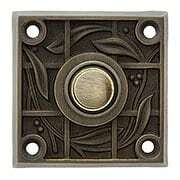 Solid cast brass in an oil-rubbed bronze finish with subtle raised designs that will complement any Craftsman home.